It’s that time of year where everyone focuses on what they want to improve in the coming 12 months. A chance to start fresh and begin again. A lot of resolutions are centered around self-improvement, but since we’re the restoration folks, we’ve got five resolutions to improve your home! Tip #4 and #5 can be read by clicking on DKI Canada Blog Page! During sunny days, leave your blinds and drapes open to allow the solar heat to warm your home. Check to see if your insulation is up to par. You can find this out by measuring its thickness; if there is less than 7 inches of rock wool or fiberglass, or 6 inches of cellulose, consider adding more. Every degree you lower your thermostat while heating your home, you save about 2 percent on your heating bill. Try it out. Adding a humidifier to your home can help you keep your thermostat at lower temperatures while still ensuring optimal comfort. Be sure to change your furnace’s filter(s) frequently to achieve improved air flow which in turn allows the furnace to run more efficiently. Replace light bulbs. Switching to CFLs or LED bulbs can provide greater cost-savings, as they use less energy and last longer than traditional incandescent bulbs. Install motion sensors or timers on your external lights. Some lights offer an app for your smartphone, so you can control them from your phone. Chop up leaves with your lawn mower to create a layer of mulch that will slowly break down and give your lawn nutrients. Wash laundry with full loads, and try to use cold water as much as possible. Approximately 90% of your washing machine’s energy goes towards heating the water itself. When cooking on the stove, make sure to put lids on pots to cook food quicker and save energy. It’s time to open the cottage, making Victoria Day Weekend one of the most chore-filled weekends of the year up here. Opening the cottage is the most exciting part of the year. It can also be the most stressful. 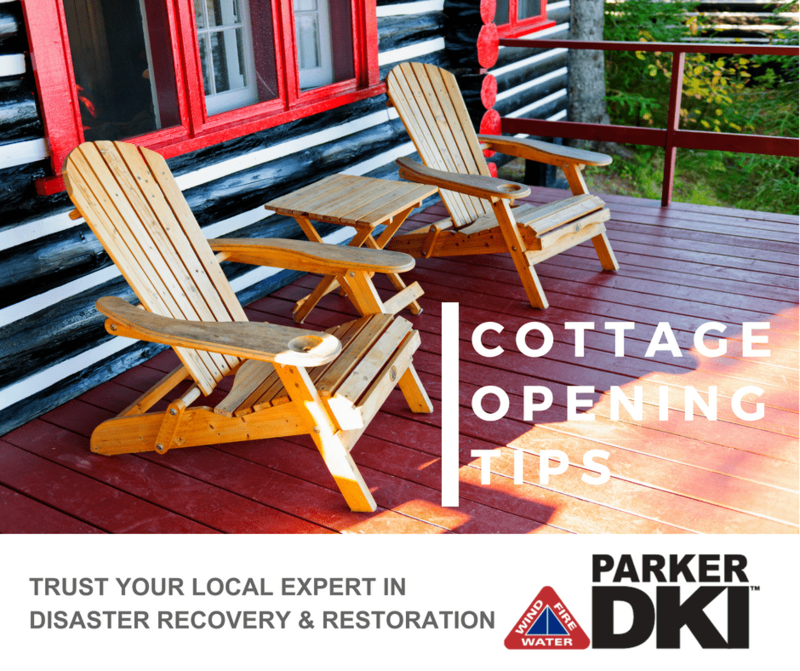 Proper planning for the cottage opening weekend will help get the season off to a great start. Make sure your electricity is turned on. It’s always best to do this before the weekend to be sure someone can help you if there should be an issue. Be sure that everything is insured and you know where the documents are. This includes boat, trailer, and cottage insurance. if you’re pulling a trailer, be sure to test all the lights and connections before your family is loaded into the car. Put a tool kit together. You will need tools this weekend. Figure out which ones you’re going to need and pack them. And don’t forget the duct tape! Gather some cleaning supplies. You’re definitely going to need to do a little bit of cleaning this weekend. Even if all you do is wipe off the deck chair, you’ll need to have the right equipment to do it! Check for any damage to power lines, phone lines, the chimney, the deck, the dock, windows, screens, and under the cottage at the posts, pads, and beams. 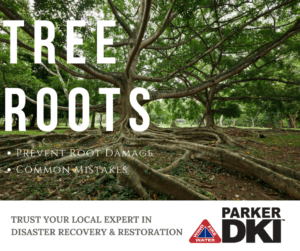 Look for cracks in the foundation and any water penetration. Any crack that can fit a dime should be checked by a pro, such as a foundation specialist or structural engineer. Turning on the water, hot water, checking pipes etc..
let the place breathe. Any enclosure needs air circulation — dust accumulates, there might be mould and mildew. Ensure you have a checklist for each room of your home. Don’t forget to include all safety equipment such as smoke detectors and carbon monoxide detectors. Have a system in place to donate or dispose of any items that have not been in use for over a year. Note: Hoarding can be a fire safety concern, ensure you have each hallway and room in your home accessible for the fire department in case of an emergency. Using the proper safety gear such as rubber gloves and eye protection for some special projects is a wise thing to do. We recommend using environmentally friendly cleaners. Many items can be cleaned with just plain vinegar and water, saving you money as well as helping the environment. Always work from the top to bottom. Ensure you start with light fixtures, ceiling fans and book shelves prior to lower furniture such as coffee tables, chairs, etc. 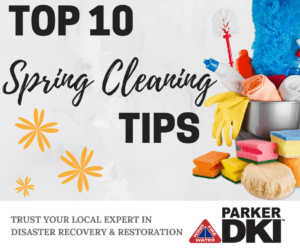 Take advantage of the April Showers to get the inside of your home cleaned. Then you can move on to the outdoor tasks when the nicer weather comes. Remember to clean all your large appliances, such as vacuuming behind your fridge or cleaning your dishwasher and laundry machine to ensure they keep working at their best. Also, checking the lint in your dryer is a good idea to prevent possible fire hazards. Once the weather changes and you no longer require your heating or cooling system to be on at all times, take advantage of that time and call a professional duct cleaner. This will help ensure your family is safe from dust and other airborne particles that may have accumulated over the year. We tend to take inside walls for granted, take a damp cloth and remove all dust from top to bottom. Don’t forget the creases of your baseboards. This may also be a good time to think of fresh paint, if needed. Cleaning windows is also a good idea to take full advantage of the sunlight shining through! We clean our floors on a weekly basis, but how often do we scrub our grout? One easy way, is to take old toothbrushes and a cleaning solution (try water and vinegar) and scrub away! Another option would be to call a professional if cleaning the grout is too difficult alone. There may be some jobs that we recommend you contact a professional for, such as chimney sweeping and lawn aeration. You should also contact a mechanical contractor to perform the preventative maintenance on your heating and cooling units. As Thanksgiving approaches, home-cooking becomes more customary in homes throughout the country. With several cooks in the kitchen preparing multiple dishes, various activities goi ng on, and children scattered about, it’s important to take extra precaution. According to the U.S. Consumer Product Safety Commission (CPSC), the number of kitchen fires triples on Thanksgiving Day. Place oven mitts, plastic wrap, plastic spatulas and other flammable materials away from the stovetop. Tie back loose hair, and roll up sleeves. If children want to help with the meal preparation, be sure to watch them intently. It’s best to give them a project away from the stove and oven, as well as away from sharp utensils. Face pot handles away from the edge of the stove, where they can easily be knocked over. Keep a fire extinguisher nearby, or a pan’s lid for easy access to extinguish the fire. Do NOT douse a stovetop fire with water. Try using battery-operated candles or non-flame decorations for table centerpieces. While deep-frying a turkey saves you a sufficient amount of time versus roasting it, it can have additional dangerous repercussions. Given the high rates of snow and rain lately, it is advisable to avoid frying your turkey this year. If snow or rain hits the hot cooking oil, the oil can easily splatter and burn you or others nearby. Place the fryer on a flat and sturdy surface. The fryer must be kept outside. Keep a safe distance away from flammable materials, buildings, children and pets. Ensure your turkey is completely thawed before placing in the fryer. Once all the excitement has died down, and your friends and family have left for the evening, make sure all appliances (oven, stove, fryer, barbeque) are turned off and all candles are extinguished.